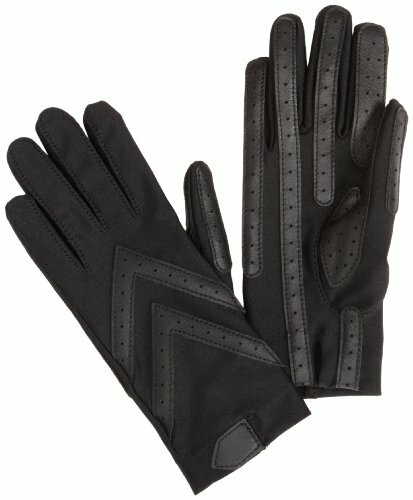 These stretch gloves offer exceptional fit and flexibility. Made from spandex with LYCRA for a contoured fit that looks and feels great. Note the genuine leather palm strips that improve grip and extend wear. Your hands won't slip on the steering wheel. Although unlined, the stretch fabric is specially treated to repel rain and snow so your hands stay dry and warm. One size fits most.